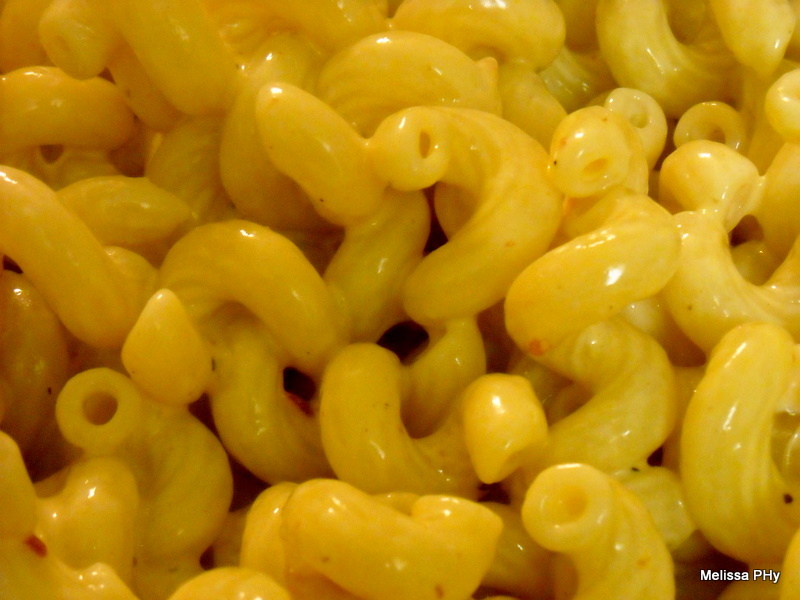 Mac and cheese is the ultimate comfort food, and my “Creamy Pasta” recipe is easy enough to make whenever you get the craving for it. Steakhouses have started this trend of chipotle (let’s all say it together, now: chi-poht-lay) mac and cheese—and I like it. 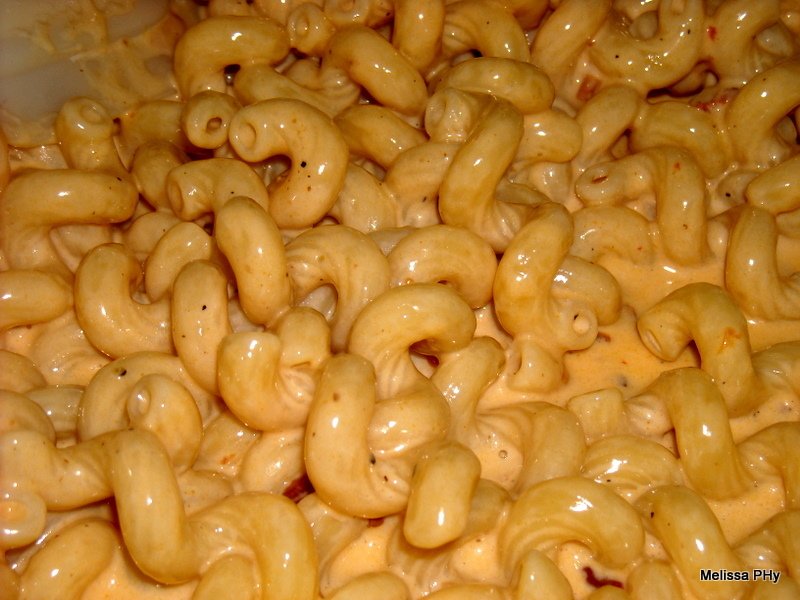 I’ve modified my creamy pasta recipe to turn it into a chipotle mac and cheese that’s to.die.for. and just one simple step more complicated than the original recipe. You can thank me later. Cooked short pasta–macaroni, farfalle, penne, etc. 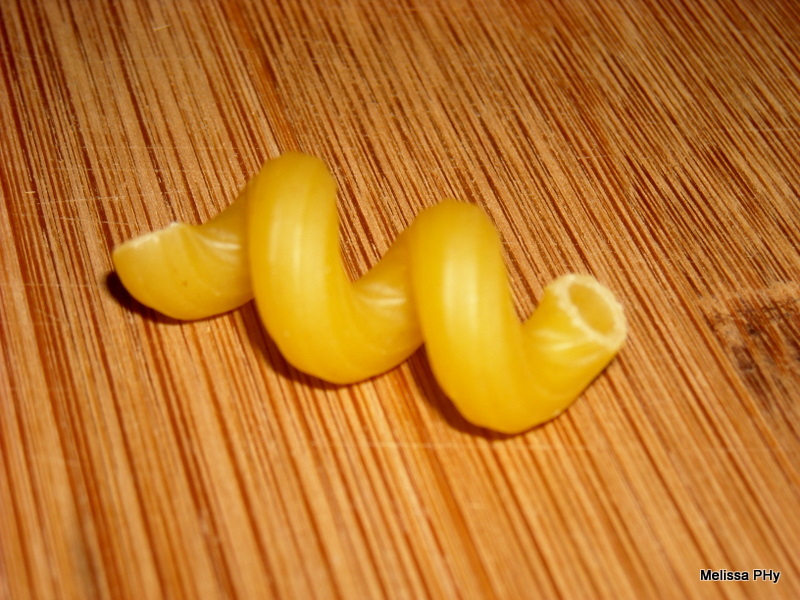 I used cellentani, which are long corkscrews with ridges so the sauce really sticks. Use about 3 cups cooked. Cream (heavy whipping, whipping, or half and half. Whatever you normally keep on hand!). Useenough to cover the bottom of the pan completely. Butter. Use 1 1/2 Tbsp. 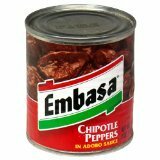 1 Chipotle in adobo sauce, chopped, plus 2 tsp. 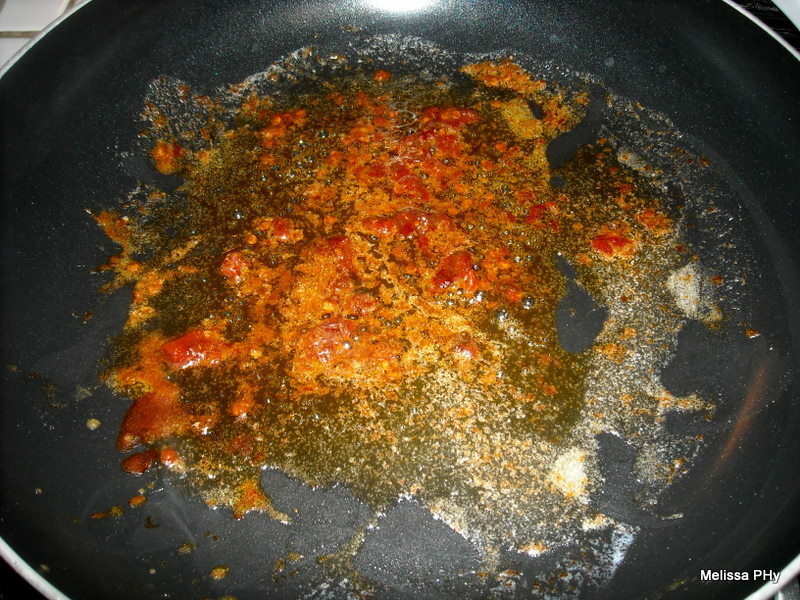 adobo sauce. Smoked Fontina, Cheddar or Gruyere. My favorite so far is the fontina. Use about 1 1/2 cups, shredded. Sharp Cheddar. Use about an ounce or two shredded. Add the chipotle and adobo sauce and cook for about a minute. 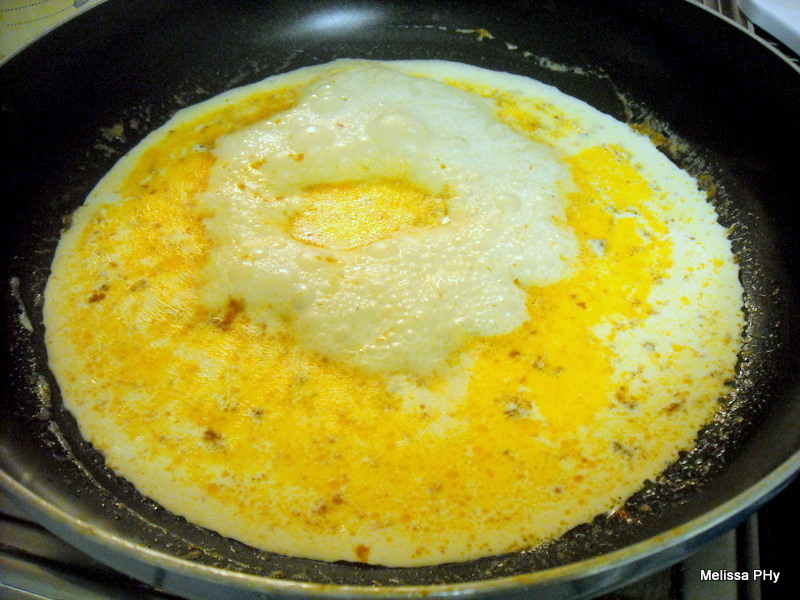 Pour cream until it covers the bottom of the pan. I usually tilt the pan and if I can see the bottom of the pan when I tilt it, I add a little more cream. Remember, you don’t need a lot, but enough to completely cover the bottom of the pan!. Once the butter and cream mixture starts to bubble (and it will! It’ll be a frothy bubble), turn the heat down slightly and add the cooked pasta. Stir to coat. Season liberally with salt and pepper. Stir again. 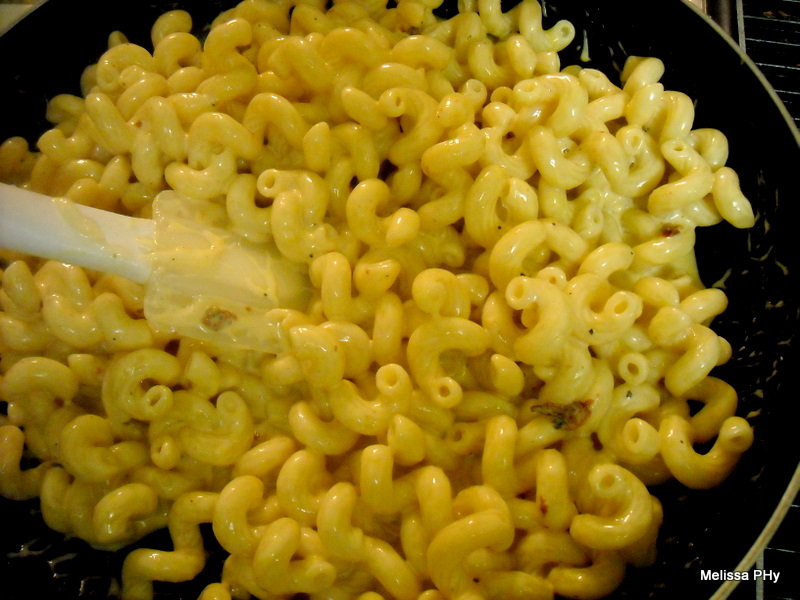 Add a small handful of the cheeses and stir again to melt. I always taste the pasta here and see if it needs more anything–salt, pepper, or cheese. Then add as needed. Continue to heat, stirring constantly. It sometimes takes a while to thicken. Don’t worry if it looks thin. Just stop stirring, turn the heat OFF and let it sit for about a minute. The sauce will thicken on its own and you’ll have a really yummy creamy pasta! *all measurements are an estimate, as I cook by sight and taste. Taste as you go and decide for yourself if you need more cheese. Always start off safe (read: less) and then add as you go. As far as the cream goes, I’ve never had a problem with my method of filling up the bottom of the pan and scraping a silicone spatula along the bottom to see if I can see the bottom of the pan or not. If you can, add a little more cream. Let me know how you like it! Once you get the hang of it, it’s the easiest “go to” recipe!